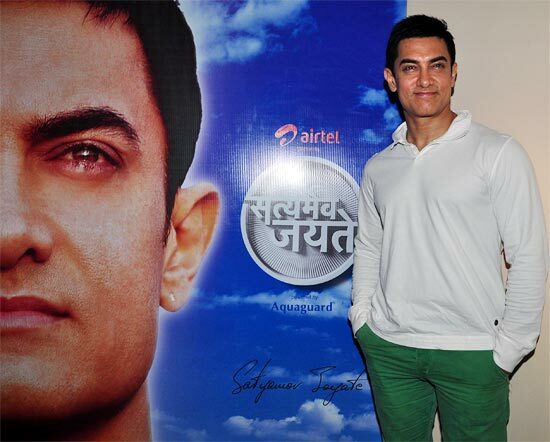 Despite much hype, Aamir Khan's talk show Satyamev Jayate got an average television rating of 2.9 across the six metros in its debut episode on May 6. 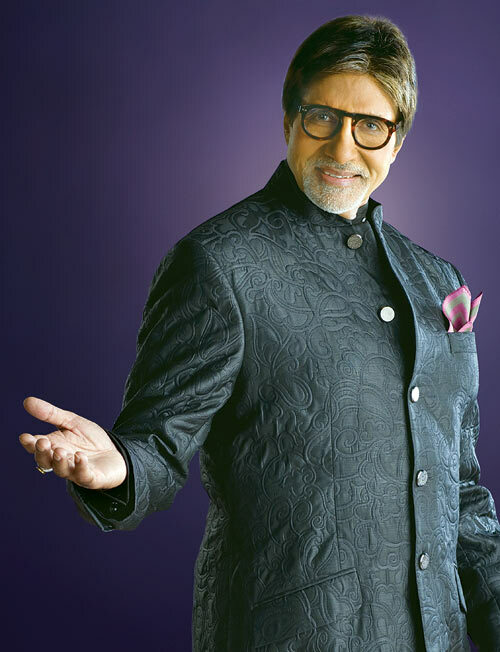 The rating was far lower than those of most other celebrity-hosted shows, the most significant being Amitabh Bachchan's Kaun Banega Crorepati. The preliminary rating, released by STAR India on its flagship channel STAR Plus, was based on the average viewership across Delhi, Mumbai, Kolkata, Chennai, Hyderabad and Bangalore. The more predominantly Hindi-speaking metros -- Delhi, Mumbai and Kolkata -- clocked a television rating (TVR) of 3.8. The TVR reflects the percentage of viewers watching a programme at a particular time. The programme has a prime Sunday morning slot, which many thought would recreate the popularity of Sunday morning shows such as Ramayana and Mahabharata. "The show's ratings are lower than other celebrity-hosted reality shows. For instance, Sony's Kaun Banega Crorepati Season 5 had opened with a TVR of 5.24, while Shah Rukh Khan's Kya Aap Paanchvi Pass Se Tez Hain opened around four. Akshay Kumar's Khatron Ke Khiladi got 4.4 while Salman Khan's Dus Ka Dum fetched 2.2," said a media buyer on the condition of anonymity. The ratings have been given by various channels and media buyers for the six metros. Most media buyers and advertisers anticipated higher ratings, considering the heavy promotions and the hype around Aamir donning the mantle of a show host. STAR India CEO Uday Shankar said he was not aware of the show's ratings. The opening episode's average TVR was 0.48 across nine channels, including state-owned broadcaster Doordarshan. On STAR Pravah, the show (dubbed in Marathi) garnered 2.2 while on Jalsha, it managed 0.52. For the Telegu version, shown on ETV, the show got 0.88 TVR and on STAR Vijay, it got 0.68. According to TAM Media Research, 14.41 million viewers tuned in to watch Aamir's first show. The show was among the top five trends in India on microblogging website Twitter and within a few hours of its going on air, the show's website crashed twice. But experts doubt whether it will be able to sustain its ratings. Weeks of hype might have helped the initial rating, they said. Broadcasting industry officials, however, said it could not be compared with other reality shows due to its content and timing. "Considering the seriousness of the content and having the Sunday 11 am slot, the ratings are good, but advertisers may be disappointed as sponsorship and spot rates were sold at a premium," said an executive from a rival broadcaster. The title sponsorship has been hawked at Rs 16-20 crore, while associate sponsors have paid Rs 6-7 crore. The 10-second advertising spots are sold for around Rs 8-10 lakh, according to media buyers. The show has eight sponsors, with Airtel being its presenting sponsor and AquaGuard the co-sponsor. Coca-Cola, Johnson & Johnson, Skoda Auto, Axis Bank, Berger Paints and Dixcy Scott have been signed up as associate sponsors. The show is touted to be one of the most expensive television productions on any Hindi general entertainment channel, with costs per episode running up to Rs 4 crore. Other celebrity shows cost less than Rs 3 crore per episode.